The change to the use of electricity for heating purposes has seen a substantial move away from the long established storage heaters to the more flexible programmable options that can be set on a timer and switched on and off as required. Our range now includes the New Confort Radiator designed to maximise convection its fins giving very efficient heat output and available in outputs between 500 Watts and 1500 Watts. Panel Heaters are historically unattractive to look at. The Eco Air Electric Panel Radiator changes this, offering a well designed appearance suitable for any home, office or commercial setting. All three models can be controlled from their digital front panel or by the same Infrared Remote Programmer, which allows 24 hour 7 day timing to suit working lifestyles. Reintroduced is the popular bespoke range Forte Plus. 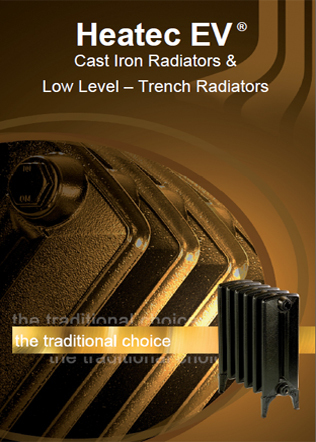 These Radiators are individually built to meet specific output requirements and are built from high density Aluminium with a low liquid content putting them among the most efficient Electric Radiators on the market. Their controls are designed for individual setting with a thermostat or for use with a separate building management system. Electric Towel Rails round off the range with both programmable digital controls and standard varieties. 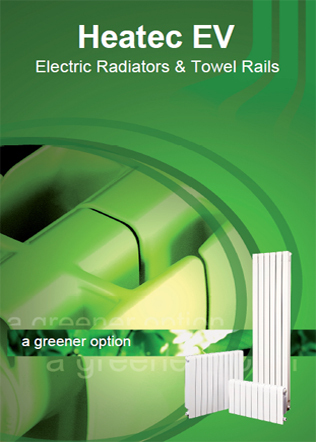 I agree to let Heatec EV contact me from time to time in regards to the Electric Radiators & Towel Rails brochure and related products.